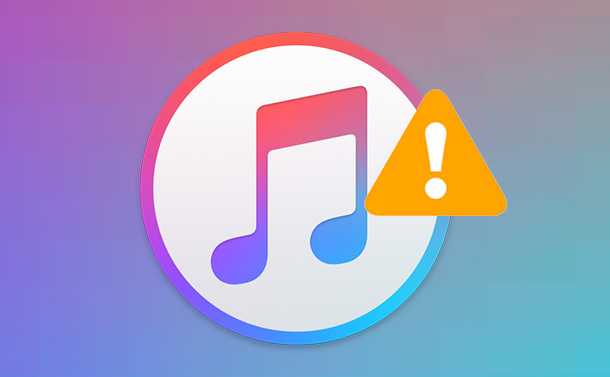 iTunes error 3194 is one of the most recurrent errors that appears whenever you upgrade or degrade your Apple devices. This error occurs when our device is not able to communicate with Apple’s servers. If we dive deeper into the root cause of this error, there is a single possibility why it happens. iTunes error 3194 occurs when you’ve jailbroken your iPhone, iPad or iPod touch in past. The jailbreak twitch alters the hosts file and that changes the way iTunes connects with Apple’s verification servers. In this blog, we will cover how to fix error 3194 by different methods. To fix iTunes error 3194, follow the methods mentioned below. Step 1: Close iTunes in your Mac/Windows computer. Step 2: Navigate to the hosts file in your computer by following the path below. Hosts file in every operating system is responsible for mapping hostnames to IP addresses. Step 3: Open the hosts file by giving the administrator rights because it is locked by default to prevent attacking on your system. Windows: Double click the hosts file and choose notepad app from the prompt list of apps. Mac: Navigate through terminal app from the utilities folder and type: sudo nano /etc/hosts press return key. Step 4: The hosts file will open in text editor. Reach the bottom of file. All the standard entries would have a ‘#’ in front of them. Look for entry with IP address and hostname – 74.208.105.171 gs.apple.com. Add ‘#’ in front of it. This represents a redirection to the Apple’s verification server and jailbreaking might have blocked this redirection causing iPhone error 3194. If you don’t see this entry, add 74.208.105.171 gs.apple.com in the last line of the file. Step 5: Save the file. Step 6: Go to your iTunes app and restore or update again. In most of the cases the modifications in hosts file would fix iPhone error 3194 and allow you to upgrade your Apple device. TinyUmbrella is a freeware application to restore your iOS devices by using SHSH through TSS server. This method is more efficient when you are willing to downgrade your iOS firmware. But you can always use it to update your firmware too. Follow the steps below. Step 1: Download and install TinyUmbrella. Step 2: Download the desired iOS firmware here. You have to specify your device, model and firmware. Step 3: Connect close iTunes with your iOS device. Step 4: Open TinyUmbrella on your PC. Step 5: Tap on ‘Start TSS Server’. Connect your iOS device to your PC with cable. Now, hold power and home button for around 10 seconds and then release power button only, to start your smartphone in DFU Mode. Step 7: Now, if you want to update the firmware, click Shift+Restore in Windows and Option+Restore in Mac. Point to the iOS ipsw firmware file downloaded in step 2. iOS will restore to the pointed firmware. It requires a bit of work to do but it is a very efficient way to fix iPhone error 3194 and most probably you won’t get disappointed. Also Read: How To Delete Duplicate Images From Photos App on iPhone and Mac? If the above two methods don’t work, then remotely resetting your device using iCloud is the last option. Your device’s erased data can be back up using iCloud again. Step 1: Login to iCloud website. Step 2: Tap on Find My iPhone service in iCloud. It will display a map representing current location of your device. Step 3: Click All devices from top menu and select your iOS device from the list. Step 4: Tap on Erase button. It will ask you for confirmation. Step 5: After confirmation, your iOS device will automatically begin to restore to its factory settings. Step 6: After the completion of previous step, it will ask you to setup your device as if it were a new phone. You can choose to install backup from iCloud or you can begin a fresh installation. iTunes error 3194 is most frequent and infuriating error of all time. We hope this blog might help you settle on a solution for how to fix iPhone error 3194.